There is no doubt that Online Roulette is the game of choice for a high number of players in the UK. With its high-risk/high-reward status, it attracts more and more players to casinos pretty much by itself. UK roulette players will know that European Roulette is pretty much the most common version of the game in Britain. It is certainly more value for money as the house edge is not as high as that in American Roulette. As American Roulette has an additional pocket and pays the same as European Roulette, this effectively makes it (slightly) more difficult to win. Let’s have a closer look at UK online roulette in our guide. The top three recommended UK roulette casinos have the biggest selection of roulette games, the best UK roulette bonuses and a proven history of safe, reliable software, smooth banking and attentive customer service. It’s not easy to earn our top three ranking but when it comes to roulette these three casinos have shown themselves to be the best in the business. There’s simply no better place to play for dedicated roulette players. Check this free online roulette demo and play free roulette online! The croupier calls an end to betting, spins the wheel with a flamboyant flip of the wrist and sets the ball dancing and clicking around the wheel. It’s what most of us dream up when we think of a casino – we probably throw in a cast of beautiful women in wonderful gowns and handsome men in evening dress sipping Champagne for good measure too. Roulette can be glamorous and expensive, but it needn’t be. The roulette game itself is relatively simple, and mechanically it’s the closest of the classic traditional table games to a slot machine. Betting on the game is a fascinating and much-studied art, and with online casino roulette, this game is now more accessible than it’s ever been in its centuries-long history. All good online casinos offer a choice of roulette tables. You should be able to play European (sometimes called French) or American roulette at most casinos. There will probably be a choice between simulations that you bet on, or live streaming games – not all “live” games are live, they might be recorded video, so if you want to play in real time make sure you know that that’s what you’re playing. Roulette is a simple game, but it’s got a lot of depth to it, and a lot of variations and jargon to contend with. Make sure that you understand the game before you sit down and start playing. Check out some free games if you get the chance and use guides like ours to find your way around the betting table. Because of its age, Roulette has a lot of mystique. Unfortunately hidden among that mystique is a lot of scamming that will rob you of your cash as surely as a bent wheel will. There is no system on earth that can beat the wheel. The best a system can do is to help you to foster your funds more sensibly and play for longer – playing for longer means you might win a big prize, but no system can guarantee that if anyone tells you that they can do that run a million miles. For the online player, roulette is a very simple proposition. One sits at a table and clicks and waits and then hopefully logs out with a big win on the way to a bank account. A big wheel spins. A ball is dropped into the wheel. The ball is caught in one of the numbered slots – numbered up to 36, and alternating between red and black colours – and winning bets, which hit the right number, the right colour, or one of a number of groups of numbers, are paid out according to their odds. The zero is key to roulette. It is the zero that gives the house its “edge” and allows it to make a profit from the game. Zeroes are key to the two main variants of roulette. European roulette has one zero. American roulette has two – one is a double zero. These slots never pay out. Bets are placed using chips on a green baize table. The bets are divided into “inside bets” and “outside bets”. This could well be the origin of the phrase, “an outside bet”, but the truth is the words simply refer to the placing of the box for the bet on the table, and outside bets in roulette are more likely to win than the longer-odds inside bets. It is always down to the player how they want to play the game. It comes down to their preferred way of betting. There is no proven strategy which works, and all of these systems that promise great things will never work 100% of the time. Even if you throw your money down on the table randomly, this will probably be as effective as a sequential betting pattern. Roulette is a game where chance rules. You cannot predict where the ball will land, and no one has ever been able to do this every time. If you want to get involved in playing the game to make a living, you will soon be at a loss. Players can win many times, but it is truly down to how much luck is in their favour at any given time. It truly is that simple. Roulette is a high-risk/high-return game, which can seriously eat into your balance if you are playing for a long period of time. Luck is everything in the game, which is consistent with the fact that sometimes you win big, and sometimes you lose big. There is no real way of changing this fact, so players should be very careful when considering pumping massive amounts of money into the game off the back of these “guaranteed to win” strategies. That pretty much covers the rules of roulette – as we’ve said, it’s a very simple game. Most of the etiquette of the game has grown out of its lively life in real-life casinos. Bets should be placed either before the ball is flipped onto the wheel, or perhaps in the few seconds after that happens. There’s a whole load of behavioural norms around how one places bets on the physical table, which fortunately for impatient online players don’t apply in cyberspace. So, let’s hit pay dirt! Roulette odds – that is the odds of an event happening in the game – and roulette pay-outs are not the same. It’s in that difference that the casino makes its profit. These figures are standard, but that’s not to say they couldn’t be altered, so we’ll repeat that you ought to check the rules and regulations the print big and small at the particular site and particular table you’re playing at. You didn’t come here to get a maths lecture we’re sure, so we’ll present these figures as simple as possible. Remember, the odds and the pay-out are not the same, and the odds against any event on American tables are longer. A single number should pay out 35 times your stake. It has a 2.7% chance of happening on a European table and a 2.6% probability on an American table. Two number combinations should pay out 17 times your stake. There is a 5.4% chance of this happening on a European table, and a 5.3% chance on an American table. Hitting a three-number combo should reward you 11 times your stake. It is an 8.1% chance on a European table and a 7.9% probability on an American table. Four number combinations should pay out at eight times your stake. It is a 10.8% chance on a European table and a 10.5% chance on an American table. Five number combos should pay out six times your stake. They are 13.5% probability on European tables and a 13.2% chance on an American table. Six number combinations reward players with five times their stake. There’s a 16.2% chance of hitting this on a European table, and a 15.8% chance of this happening per spin on an American table. Selecting the column (there are three) in which the ball will land will pay out at 2 to 1. There is a 32.4% chance of this happening on a European table, and a 31.6% chance on American tables. Selecting the dozen in which the ball will land pays out twice your stake. It is a 32.4% chance on European tables and a 31.6% chance on American tables. Picking whether the number will be odd or even will give you winnings of the same amount as your stake, and it is a 48.6% chance on a European wheel and a 47.4% chance on an American table. Selecting red or black correctly will pay out evens. It is a 48.6% on European tables, and a 47.4% chance on American tables. Low or high betting (1 to 18, 19 to 36) also pays out evens. It is a 48.6% chance on European tables and a 47.4% chance on American tables. So you can see the house edge coming into play most clearly in the simpler bets. An odd or even bet without zeroes would be a 50/50 chance, but here it drops 1.4% in favour of the house on European tables, and that extra zero on American tables gives the house an “edge” of 2.6% over the odds the player is allowed to bet on. The outside bets on the table are the more likely ones: dozens, (1 to 12, 13 to 24, 25 to 36); low or high (1 to 18; 19 to 36); red or black (numbers are coloured alternately, from red on one), which is essentially the same bet as picking odd or even. 3, 6, 9, 12, 15, 18, 21, 24, 27, 30, 33, and 36. The centre of a classic Roulette table of bets contains the numbers, you can bet on combinations of numbers with a single chip bet. Two number bets – called splits – are simply numbers that are adjacent on the table. Three number bets are often called streets, and they run concurrently in threes. Betting the corners gives you sets of fours, non-consecutively (eg, 1, 2, 4, 5; 31, 32, 34 and 35). Sets of six numbers are picked by selecting two rows of three numbers. American roulette has a unique bet: the basket, or five numbers which take in both zeroes (0, and 00) plus the first street (1, 2, and 3). It’s a six to one payout with a probability of 13.16%. European or French roulette has a set of bets of its own too. These bets are improvised by the player so they’re less easy to play in online settings. Neighbours of zero take in 17 numbers (22, 18, 29, 7, 28, 12, 35, 3, 26, 32, 15, 19, 4, 21, 2, 25), which can be covered by nine chips on the betting table. Jeu 0 (play zero) is a mini version of that bet, taking in 12, 25, 3, 26, 32, and 15. This bet is an 18.9% chance, and depending on which number is hit you could win up to 26 times your stake. At a probability of 45.9%, this bet could return you 24 times your stake. Tiers de cylinder (thirds of the wheel) is the opposite side of the wheel to neighbours of zero – 33, 16, 24, 5, 10, 23, 8, 30, 11, 36, 13, and 27. You should get a 17 to 1 payout on a bet that is a 32.4% probability. Zero Game is a smaller version of the Neighbours of Zero, covering only 7 numbers close to the green zero slot. The Orphans (les orphelins), takes in those unhappy numbers left out (9, 31, 14, 20, 1, 17, 34, and 6). It’s a 21.6% chance, paying out 35 times your stake or 17 times depending which numbers hit. For a probability of between 8.1% and 10.8%, so you can bet on matching final numbers – for example, 2, 12, 22, and 32. Picking groups of five numbers, neighbours, comes up as a 13.5% chance. Straight Up Bet – This one is the most straightforward bet to place. All you need to do is bet on any of the numbers on the table between 0 and 1-36. The odds for this bet are highest, at 35-1 for getting it right. Split Bet – Players bet on two numbers. For the purpose of illustration, let’s say 17 & 20. Put down your chip on the line separating both numbers, and you have placed the bet The odds of landing a split bet are 17-1. Streets – A player will bet on three numbers, which is done by placing a chip on the line of those three numbers. So if you wanted to bet on 16, 17, & 18, you will win at odds of 11-1. Corner Bet – Simply place your chip on the cross section of 4 numbers that make up a square. You will get odds of 8-1 for a winning bet of this up. Line Bet– Players can place their chip on the outside borders of the six numbers of their choice. The odds of this type of bet is 5-1. Red or Black Bet – The most popular outside bet by a country mile. Players choose between red or black and for even money. Column Bet – This is a bet on one of three columns at the bottom of the table. Odds for this type of bet are 2-1. Dozens Bet – A bet on the 1st, 2nd, or 3rd dozen. The payout is against odds of 2-1. Odd or Even Bet – There are 36 numbers on the table, zeros don’t count, so choose if the next number will be either even or odd to win at odds of 2-1. High or Low Bet – Choose between 1 to 18 or the 19 to 36. The payout for this bet is even money. “La Partage” and “En Prison,” are two unique bets which may or may not be open, depending on the casino which you are playing at. La Partage – La Partage comes into play on a bet where 0 wins. Should the player have La Partage then half of their even money bets come back to them. This is a great bet as it pretty much performs like an insurance if 0 lands. As outside bets will all lose if 0 wins, this is a great way to get something back. It also brings down the house edge to 1.35% when it has been activated. En Prison – En Prison is a rule that comes into play – like La Partage – on even money bets when 0 wins. The dealer places a marker over the previous even money bet when zero wins. If the players win on their next spin they get their stake back. It is undeniable that this bet is the favourite of many of the more cautious players. As you can see, all players really need to do is place their chips on the numbers, colours, or series of bets they favour. Then, you watch the wheel spin around and hope for the best. Placing bets is easy. There are a small number of bets which are not the most obvious you can place on a roulette wheel. too, which we covered above. Roulette is a European game originally, and the European table is the oldest style. For most players, the detail that stands out is that European roulette has just one zero so offers a better deal to players. There are, however, some other slight differences. The numbers on the wheel are in a slightly different order to American roulette. You can spot this quickly, by checking to see which number is to the right of the single zero – on a European table it will be 32. Here is the layout of the full European reel, going to the right: 0, 32, 15, 19, 4, 21, 2, 25, 17, 34, 6, 27, 13, 36, 11, 30, 8, 23, 10, 5, 24, 16, 33, 1, 20, 14, 31, 9, 22, 18 29, 7, 28, 12, 35, 3, 26. The house edge in Europe wasn’t enough for the Americans, who added a double zero to the mix. This makes the number order: 0, 28, 9, 26, 30, 11, 7, 20, 32, 17, 5, 22, 34, 15, 3, 24, 36, 13, 1, 00, 27, 10, 25, 29, 12, 8, 19, 31, 18, 6, 21, 33, 16, 4, 23, 35, 14, and 2. French roulette is the oldest variant of the game. And it’s the least common on the internet. That’s a shame because it does have a couple of variants on the other types of the game that are really rather nice. The game has the single zero of the European variant. And it follows the same number sequence. What is different is the La Partage (also En Prison) rule. When you learn that this rule works in favour of the player rather than the house you’ll perhaps see why this version isn’t so widely available – it’s your duty as a good consumer to go to sites that offer French roulette and give them your business until this changes: Francais pour tout! The La Partage rule is a refund on losing bets. Don’t get too excited: it applies only to even money bets (so odds and evens, reds and blacks, etc) and only when the ball lands in zero. If that happens you get half your stake bet. It slightly reduces the house edge and it’s a good deal for customers, so support it when you can, and grab the game when you find it. If you believe the myths roulette is a gift from the devil! This silly story (all stories involving the devil are silly) comes about because if you add up the numbers from one to 36 you get a total of 666! Yoiks! Have no fear though, simply file this as a useful trivia fact with which to impress your friends down the pub, and dive in and enjoy a game with a rich and entirely rational history. As the name suggests, the game is French and was born there in the 18th century. It might have roots in the experiments of the legendary mathematician and philosopher, Blaise Pascal, who was always on the hunt for a perpetual motion machine. The French probably brought the game to life by mixing a simple spinning wheel game with an Italian betting game called Biribi. Chairman Mao is said to have once said, “it’s too early to tell” when asked what the effects of the French revolution were. I wonder if he was a roulette fan because the modern game was forged in the fires of revolutionary Paris, though – unless you want to make some up yourself, please do, everyone loves a good conspiracy theory these days – there aren’t any political implications to its set up. Accounts of its early days – in the novel La Roulette for example – suggest that we’re bad-mouthing the Americans by blaming them for the double-zero though. The 1796 fiction includes an account of the game with two slots for the bank. By the time that was published, the game had already been banned in French Canada! The better deal of the single-zero game was certainly a French invention though. Well, Franco-German, as the Blanc brothers invented it in Bad Homburg to bring in a trade to their casino. From the early days in the US, the Americans had to do things differently. Early wheels had 28 numbers, two zeroes and a patriotic American Eagle – which paid the casino. Thankfully, that particular nationalistic nonsense soon died a death. The Blancs stayed in the gambling business as Europe got roulette fever through the 19th century, and when the game was banned in Germany, they took their wheel to Monte Carlo and started a gambling revolution that went around the world. And so was born one of the great schisms of history, as double-zero games spread around America (accompanied by rampant outlawism and fixing), the single zero roulette game spread across Europe and took on the name of the continent. Though now everyone has a choice of which to play thanks to the internet, surely the market – are you listening American casino operators, this is capitalism! – will kill off the American wheel soon. The mystique of the game has inspired myths like the devilish, and fictional, origin story we mentioned above. It’s also given rise to a number of strategies for playing. We’re sorry to be boring, but we’re going to repeat our warning here: Betting strategies are just a way of fostering your resources. They cannot and will not increase your chances of winning. This is particularly true if you’re playing at a machine table rather than a filmed, live streaming game. There is no way around the algorithm. This really is a game of luck. For live roulette games there is a massively tiny, extremely outside, almost infinitesimal chance that you could spot some physical tick in the croupier when he or she throws the ball into the wheel, and pick up some sort of pattern of their relative position to the numbers on the wheel that makes some numbers a tiny bit more likely to be hit from a particular position. If you have the patience to watch the thousands of spins – noting each result against the position of the croupier and the speed of the table and so on… – needed to even think about starting to work that out then good luck to you. It’s possible a super-computer might get somewhere, but any perceived patterns are most likely to be just that – perceptions. So, the best system to use is one that is safe for you, the player. Don’t stake more than you can afford to lose and don’t play when you’re in a bad mood. Systems do exist that have followers, but they are just as subject to luck as a player without a system. There is a chance they will make a session last longer, because most of them are about saving money, but they will not make winning any more likely, and they will not make it any more likely that your wins will be big. Of these systems, the most popular are, the Martingale. This system, which we’ll explore in depth, is a bet doubling strategy. There are variants that call for even higher multiple increases. The Labouchere is another strategy that’s actually quite complicated to administer. We won’t go into details here, but you need a piece of paper – or an app, maybe – to run this system successfully. The D’Alembert is so dumb that it’s been called the perfect illustration of the Gambler’s Fallacy. That’s really all you need to know about this one. The Fibonacci is basically a way of showing off that you know what a Fibonacci sequence is. Well done! Now you know what it is, you’re probably wise enough to know that using it as a basis for setting bets then you’ll still end up with exactly the same chances of winning as if you don’t. Paroli – also “parley” – increases bets when you win. This is exactly as stupid as doubling your bets when you lose. That is to say, it is very stupid indeed. The Martingale is the most popular of all these systems. And like all of them. It doesn’t work. The idea is this: if you double your bet every time you lose when you win you will always win slightly more than you have already lost. And that’s where the usefulness of this system ends. While the mathematics works, and might – if played sensibly with very small stakes over a long session – allow you to enjoy a long session, it is no guarantee even of that minor achievement. Some very clever people have run experiments on using the Martingale system over long periods of time. And they found that the result of using this system was almost always exactly the same as a player using the same amount of money for each bet. And the result was almost exactly what you would expect the house edge to deliver. Another problem with Martingale play is that it can be dangerous. We’re always reminding players to bet within their financial limits, but here’s a system that asks you to double your bet every time you lose. Losing isn’t that uncommon in gambling, as even a kid who’s just played a few rounds of the coin toss will tell you. So imagine you start a Martingale with a nice sensible £5 bet. And imagine that you lose five bets on the trot – £5, £10, £20, £40, £80, and you’re down a cool £155 just like that, and honour bound to stick another £160 on your next spin. Like most gambling systems, the Martingale works in a way, but it will only work if you have the infinitely deep pockets to ride the system to its conclusion, or you do the smart thing and quit while you’re ahead. The best roulette system in the book is to simply play for fun and to play safely. 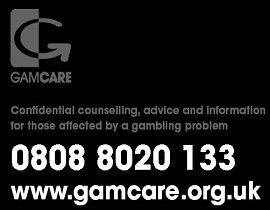 We also have a system we’d like to bring to your attention, it’s called the Never Give Any Money to Anyone Who Claims to Have a Gambling System system, and you can buy it from us for £1 million! So is there an Online Roulette Strategy? There is not one proven strategy for winning in roulette. It is tempting to believe that there could be, but if there is one, casinos would be soon out of business. These charlatans trying to sell you tips would also surely be too busy cleaning out every single casino out there. This is gambling, and in gambling, there is no guarantee of success. Anyone who has a cheat will soon find that most casinos are quick to notice anything that takes away their advantage from making money on you. The “house always wins” is a phrase which exists for a reason, and we’re sure you can guess why. UK roulette players can find numerous ways to improve the chances of winning. Keep in mind that this is a luck-based game so chance will determine how the game goes. Luck is more important for building chips and is directly responsible if you lose them as well. Unless you are a clairvoyant that has a handle on predicting the future, Lady Luck is your best chance of winning. There is no way to prove what number is going to come next in an Online Roulette game session. Since you cannot predict anything, it is down to the player to guess where the ball might land. The Martingale System just might be the most famous among players from the UK. Those hoping to win big are often pulled in by this strategy, which basically involves a player increasing their bet size following each loss. If things go great, fantastic. However, if they don’t, you could easily lose a very sizeable amount of cash very quickly. The Paroli system, which also goes by the name Reverse Martingale, recommends that players double a bet following every win. This type of system is favoured by players who might have lost a lot of money on the Martingale. There is just as much chance that you could win or lose in any of these systems. Roulette is a game where the house edge cannot be changed, regardless of what you do. It is important to recognise this before you get reeled in by the big promises of rewards and mounting riches. There are many other strategies that have been used over the years. These are usually strategies which have been developed on basic mathematical equations and sequences. Whether these invite players to progressively increase and decrease their bet size or play according to a set pattern of bets, they will all fail at some point. Some may never work for you at all, as it is all down to chance. There is no getting away from this fact, sorry! If that all seems pretty negative, don’t be put off. Roulette is a fun game and one that really repays getting stuck into. What it isn’t is a means of earning a living – unless you have a lot of time and a lot of money to start with. So use the only tips and tricks that are actually known to work – respecting the fact that the game is random and there is no system that will beat it. Accepting that playing a gambling game comes with the risk of losing every bit of money you play on it and a very small chance of winning a very large amount of money. Gambling is best regarded as entertainment. Entertainment costs. The fact that you have an outside chance of winning loads of cash is an added extra that you don’t get with any other form of entertainment, so embrace that but don’t let it rob you of your common sense. Why play free online roulette for fun? You’ll have gathered that there’s a lot to get your head around in roulette. That’s why we love free games, and highly recommend that you play them as often as you can if you want to get your head properly around this deeply satisfying game. Roulette is offered at almost every casino site. It’s a massively popular game. This is good news for players, who can stroll around the sites and pick the ones they really like. A big part of making that choice is likely to be a good roulette bonus. That might be expressed as free spins or free turns. Or it might be offered to you as a sum of money called Bonus Funds. Both are good news, and you should consider cashing in wherever you see them offered. Make sure you know what the restrictions on the cash are though. You will be expected – almost always – to put in a substantial multiple of the bonus funds in your own money before you can start collecting at most sites. Perhaps the best way to look at UK casino roulette bonuses is as a good way to explore a site and see if you like it without having to risk your own money. If a site is good enough to pay money for then its owners won’t mind you checking it out for free. Consider roulette bonuses as a test drive and you won’t go wrong. You should play real money roulette in the same way that you would play any other cash gambling game. Cautiously, and within your limits. Always make sure the site you’re playing at is licensed. Always check the licence. Really, the only thing to remember is to keep your wits about you: be sure you know the rules of the table, and the game (read guides like ours! ), use review sites to check out the site you’re on is bona fide. Keep cool and enjoy yourself! We’ve covered a lot of the ways you can find a good roulette casino site already. A good roulette site will be licensed. A good roulette casino site will have reviews at decent review sites, and comments from real gamblers in forums. It will offer a good bonus – but beware of anything that looks too good to be true – that invites you to come in and have a look around. The best roulette casino sites will look high quality, be well designed to work well and to be easy to navigate. And not lastly, the best roulette online casinos will have a good selection of roulette games, with live games, as-live games, and simulations. And most good sites will let you try out games for free where possible. We love roulette. You should too. This casino roulette scam is slightly unusual, in that it is based on the use of psychology. The roulette mix-up started life, as many cheats do, as a past-post move. That is, swapping low denomination chips for high denomination chips, quickly, following a winning bet. The aim of the cheat is to exchange low denomination chips for black chips (valued at $200) on bets were the pay-off will be $7,000, these figures are fairly standardised across the globe, but can be modified to suit the casino. The scam was first carried out by a group of four professional past-posters. Within the team, members had various roles; the first, the ‘mechanic’, is the person who swaps the higher denominations into the game once the dealer has placed the dolly on the chips that were placed on the straight-up bets, and the ball has landed. The second person is the ‘claimer’, their job is to set the casino up for the scam, and then collect the money once it is paid. Lastly, the third and fourth members of the group are the ‘chip-bettors’, these individuals are not involved in the claim or the set-up, but they create the right circumstances for the move by placing specific bets that allow the team to control the movements of the dealer. This gives the mechanic the time to make the switches and to know beforehand the time-frame needed to make the swap- these two are all about creating a legitimate distraction for the dealer. Often, the claimer will be a pretty woman. She comes to the roulette table with five $100 chips, black, and she places herself at the top of the table, opposite to the dealer. She then places one chip on the layout table, buying-on for the lower table limit, usually $1. Lastly, she will then be given 100 brown chips, in five stacks of 20 chips. Once in receipt of the chips, the lady then places them in a 2-2-1 formation. So, there will be two stacks at the front of the chip stacks, closest to the dealer, two stacks directly behind the first, and then one stack closest to the lady herself. The last stack is thus concealed from the dealer by the two double stacks in front. Subsequently, the claimer then places the four remaining black chips (totalling $400), surreptitiously, into the stack closest to her, which are completely concealed from the eyes of the dealer. At this point, the claimer will start to bet the brown chips on the layout table, ensuring that she does not accidentally disturb the rear stack, by knocking it over, for example. If the game arrives at a point where the brown chips are dwindling beyond a critical point, the claimer will buy more brown chips in order to ensure that the rear stack remains hidden. The first betting sequence the claimer undertakes is to place three brown chips on a low number located in front of the mechanic, he then quickly removes them from the table, whilst placing his own bet. Subsequently, the claimer bets five brown chips on all of the bottom nine straight-up bets; these are the numbers from 28 through to 36. As the same time, the mechanic, who has two black chips (total value= $200) already, then quickly mixes his black chips into the claimers three brown chips which he had taken off the table earlier. The chips that the mechanic now has palmed in his hand are equivalent in sequence to the chips on the lower part of the claimers rear stack, the mix-up stack, which is hidden from view of the dealer. Say the number 32 has come in, the dealer will then mark it with a dolly. Because the other two team members, the chip-bettors, have strategically placed their bets, the dealer will take his eyes off the layout table for a fraction of a second. The mechanic, who should be very good at sleight-of-hand, using a two-handed move, will lift the dolly, remove the claimers chips (5 brown) and replace them with the chips that he has palmed in his own hand. So, there will still be 5 chips underneath the dolly, but they are now of a different denomination. There will now be $203 placed on the bet, rather than $5. At the point that the claimer sees the switch has been made successfully, she begins to play the rest of the roulette scam, and this is where the psychology of the trick comes in. Firstly, the claimer will pick up the mix-stack from the back of her collection of stacks, and place it on top of a stack that is closest to the dealer; this means that the dealer will be able to clearly see the sequence of the chips, a sequence that matches the one on the winning bet. Next, the claimer begins to feign panic, pretending that she has lost two of her black chips and has no idea where they are, she begins acting frantically, looking around everywhere for them. She plays out the role like a Hollywood actress, checking pockets…The dealer will, inevitably, look at the stacks that the woman has on the table, and see the mix-up stack, noticing the mix of brown and black. Then, once the claimer has seen that the dealer has noticed the stack and looks herself, she then looks over at the laid bet, and then feigns complete excitement and claims that they were accidentally bet, without intention on the layout table. This hoop-la seems so natural that the dealer falls hook-line-and-sinker. Together, the team have painted in the mind of the casino workers, a perfectly legitimate, if unusual, scenario. Through various illusions and orchestrated steps, the perception is relatively easy to portray. And if someone begins to doubt the lady, that she has past-posted, they will think that impossible, because she is sat so far away from the bet. Sending the roulette dealer a ‘toke’ or a tip will also add to the casino’s impression of her, as a straight-up lady. Of course, this technique can really only be done once per casino, and now that the scam is public, probably will not work anyway- but at the time it was a novel approach. And the team who carried out the scam did make a lot of money- of course, you have to be brave, or a little stupid, to have the guts to carry this roulette scam out anyway. There’s never been a better time to take advantage of free no deposit roulette bonuses with the hyper-competitiveness of online casinos in the attractive UK market driving them to give away free no deposit offers in a frantic rush to attract new players. No deposit roulette bonuses work in just the same way as any other free no deposit bonus, such as those no purchase necessary bonus offers given away by UK bingo and poker sites. Simply sign up to create a casino account with your email address and then the free money is deposited into your new account, no questions asked. Sometimes you will need to enter a bonus code to claim it, all the landing pages we list below provide the codes where necessary. Rarely, you will be asked to contact customer support so they can manually put the free money into your account before you start playing roulette (or other casino games if you prefer). WTF? Seriously free money? What’s the catch? The catch on the vast majority of no deposit necessary free bonuses is that they impose a limit on how much of your winnings you can withdraw, which is fair enough considering they’re just giving money to you for nothing. Exact limits are detailed in the terms & conditions – it’s very important to read these terms and conditions before you start playing in order to avoid disappointment. You won’t want to find you’ve won £28,000 on roulette only to be told there’s a £200 win limit when using the free money. A variation on the no deposit bonus theme is to give you a large free balance, say £1000, and give you an hour to try to win as much as possible. Obviously, they don’t let you cash out the £1000 but they do let you cash out any winnings you make up to a certain limit, usually around 50-75% of the original balance. So as an example, say you start off with the £1000, play some roulette and lucky on the red or black and end up with £2000 at the end of the free hour or free spins, they will allow you to cash out £500 or £750 absolutely free. Basically, the casinos just want to get as many players through the virtual doors of possible, and at the moment this means giving away free money – something you will never find at a brick and mortar casino. It’s a booming industry and your email address is important to them to keep you informed and tempted by their forthcoming promotions. It’s a win-win situation, you get to try out the casino software where you aren’t required to deposit your own money, see if you like the feel, the atmosphere, the hospitality and the free money, and they get a potential new customer, even if your only intent is to take the money and run – it’s up to them to make the experience so good that you’ll want to stay and become a regular at their roulette tables. You won’t find online casinos that offer no deposit bonuses for free if they are rubbish. The ones that do offer free money with no purchase and no credit card necessary are confident you will love their casino experience and are willing to bet money on it. OK, I’ve heard enough, show me the money! We’ve compiled a list of the best bonuses for roulette players and listed them below along with all the relevant terms applicable to each bonus. So whether you’re in England, Wales, Scotland, Northern Ireland or anywhere in the world where you can play in UK online casinos, go ahead and try one, two or all of them! Anyone who gambles knows the truth: the house always wins. But, that only tells part of the story. Yes, on average, the house always wins, but that doesn’t mean that we—the peons—never win. Just that it takes a lot of luck…and sometimes, as with the major roulette winners, a decent bankroll, maybe a bit of maths, and perhaps a smidge of cheating. Today, we’re going to look at roulette’s biggest winners. The interesting thing to note about roulette, which you’ve probably already gathered from the introductory paragraph, is that it tends not to produce big winners. Instead, big roulette winners tend to have to include some device, either high rolling, cheating or in some cases (allegedly) using a mathematical strategy. Charles Wells is one of the first people accredited with the term “breaking the bank”. This is where a player wins more cash on a casino game than the house was expecting to pay. For example, at a particular roulette table, the casino may have £100K reserved for winners. If someone then comes along and wins £101K or more, we say that have “broken the bank”. In the olden days (well, at least 50 years ago), the casino would then put the table out of service and declare it “broken” for a set period of time – usually the time it takes for the other tables/rest of the house to make up for the extra loss. Late summer 1891, Charles Wells broke the bank at Monte Carlo. He came in with £4,000 and walked out with £60K. Now, that might not sound very impressive to some of you, but the factor for inflation, and that’s a clear profit of £5.6m. When quizzed about his ridiculous win, he purported to have found a “system”. What this system was, he never disclosed, but given his later involvement in Ponzi schemes, he was clearly of dubious character and this has left huge questions marks over the win. Some people say it could have been a publicity stunt – the casino certainly received much publicity, and of a positive nature too. Everyone now thought of it as a high-payout casino. Other people say that he was working in tandem with one of the croupiers. It’s unlikely that we’ll ever know, but it is intriguing because if there is a method, I really want to know what it is! Well, you’d be forgiven for assuming that I was referring to the same person, but nope, these are three members of the notorious Primrose Hill Gang, and no doubt, with names like that, Mafioso of some kind – but I didn’t say that because I don’t want to swim with the fishes or anything. Over a 20-year period, these three took the world’s casinos to the cleaners, nearly. They weren’t as stupid as to win huge amounts in single sittings, but over the course of their scam, they cheated the casinos out of more than £1,000,000. That’s only around £17K a year each – good money, but hardly enough to do anything more than keeping a roof over your head. It’s the “softly, softly, catchy monkey” approach to gambling scams. But, if you’re going to cheat, that’s a clever way to do it. You can go largely under the radar and they clearly did, otherwise, they would’ve been banned from the world’s casinos by at least the year 1995. How did they cheat? Working together as a team, they took advantage of the age-old trick “distract and divert” to swap low-value chips for high-value chips following a win. They were caught more than once, but they simply adopted disguises and used fake IDs to circumnavigate the casinos’ checks and balances, resulting in a nice cheque balance for themselves…until they were finally caught and sent to jail. Now we have the story of the high roller, and not the cheat. This dude is a multi-billionaire; his daughter’s been on Made in Chelsea, so he must be posh. 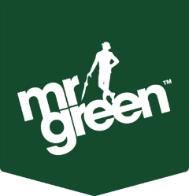 No need for Sir Green (is that how you address a sir? No idea) to con the casinos with regards to the following win, which is the equivalent of winning peanuts for us. However, I’m not the 0.0001%, and I’m guessing you aren’t either, so this win represents one of the biggest for us. He won £2m in one night at Les Ambassadeurs in Mayfair. I’m not sure we’d even be allowed to step foot in Mayfair, let alone in the Les Ambassadeurs casino. And I’m sure they wish they could say the same for Sir P, who according to sources, plays havoc with the bank when he comes in with his high roll bets. James Bond (1963)…Nah, Not Bond, but Sean Connery! This story has confused many people through the years because it’s such a bond-thing to have happened. It wasn’t in his guise as Bond, but as his real-person identity, that Sean Connery hit an unbelievably lucky streak at the roulette wheel. Have you heard of the number 17 being surprisingly lucky at the roulette wheel (for the punters, not the house)? Well, according to numerous sources, it comes in more often than other numbers…are those sources accurate? Sean Connery thought so. In 1963, he walked into a casino and bet on the number 17. It didn’t come in. He placed another bet on 17. It didn’t come in. Then another bet on 17, it came in! Walk away Bond, Walk away! Of course, the guy’s a risk taker, so he placed it again on 17. It came in, again. Seriously now Sean, it’s time to stop. Nope! He placed one more bet on 17 and it came in again! That day, he walked into the casino with £10K and walked out with £163K winning at odds of more than 1:50000. What they hey?! He must be one of the luckiest people to have walked the planet: handsome, rich, famous (debatable if fame is lucky or not), and then winning these massive odds. It’s so unfair, but life is. £163K may not sound like a lot, but with inflation, it’s equivalent to more than £3m. Just a little story to help you feel better about the fact that commoners rarely hit the big time at the casino, and that it’s practically unheard of for the roulette wheel. Chris Boyd, just your average run-of-the-mill person, walked into the casino with $220K that he’d managed to save over the course of a few years…oh wait, that’s not very “‘run-of-the-mill’-y” is it? Still, it’s not as far out of the ordinary as the other stories here. Anyway, he walked into a casino and asked to bet all the money on red. They said no, and so did the next casino, and the following few more. Eventually, he found one willing to take the bet and it paid off! He walked out with an extra $220K! Whoop. Yeah, so in conclusion, and as I said in the introduction, winning big on the roulette wheel is possible, but it seems as if you need to be rich, a cheat, or a conman. For the rest of us peons, just remember this: THE HOUSE ALWAYS WINS. – (Editor: actually the house doesn’t always win otherwise people wouldn’t play, what is happening is that you are testing your luck against the laws of probability, for fun, the house takes a very small commission in order to provide you with fun and novel ways of doing this as well as ensuring they have enough capital to pay out big wins, they are businesses so also take a small profit for providing these services). Online Roulette is a game where players can have some fun while potentially making some money into the bargain. There are ways to play which will help you to get the most out of the game. Most seasoned betters will start by recommending choosing European Roulette over American Roulette. The smaller the house edge, the greater your chances improve. European roulette has one 0, American Roulette has both a 0 and a 00. When playing American Roulette, you are essentially giving the house a sizeable advantage over you, the player. The next thing to do is to make sure that you refrain from getting too emotionally involved in playing. Doing this while playing Roulette is pretty much a way to lose a lot of money and have a really bad experience. Players should always set a bankroll and stick to it in order to keep tabs on how much they can afford to lose. As Roulette is very high tempo, you can spend a lot in a very short amount of time. This makes it even more important to stay calm and collected when you are playing. It doesn’t come down to where you are playing, for the most part. You could just as easily lose focus if you are playing in a casino or online. Mistakes and human error can happen when you are least expecting it. While Online Roulette is always a fun game to play, there is a chance that accruing major losses can turn entertainment into a nightmare.